Epic whitewater, gear giveaways and plenty of wild whitewater takes around the campfire— welcome to Gauley Fest, the largest paddling event in the world. 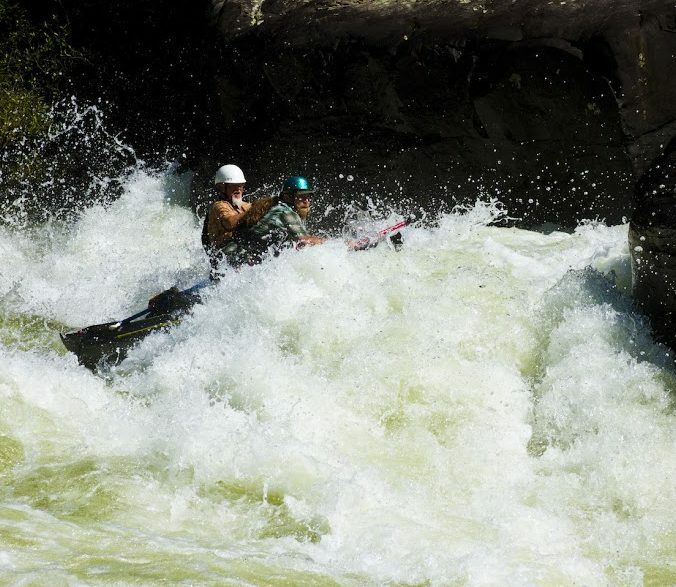 This “Woodstock on the water” draws whitewater runners from all over the world to Summersville, WV, to celebrate the kickoff to “Gauley Season”— the epic but elusive swell on one of the top 10 whitewater river runs in the world. The Gauley River in West Virginia is one of the most popular advanced runs in the eastern United States, and has a legendary reputation in the whitewater rafting world. Because these world-class rapids draw paddlers from around the globe, it was really only a matter of time until someone established a formal festival. Enter Gauley Fest. American Whitewater started the event in 1983 to celebrate the disruption of a hydro-electric project that would have been the end of the Gauley. And now it’s the premiere paddling festival, every 3rd Saturday in September. It’s is your best chance to truly become a part of the whitewater community— you’ll meet new people, including paddling pioneers, and talk to some of the top boaters and outfitters in the industry. Plus, there are raffles for some seriously sweet swag, including boats. Every once in awhile a storm will hit around the time of the release, and when this happens, the water levels get up to nearly 3 times the typical release amount, making for an extra fun weekend on the rapids. Cost. It’s $20-$40, depending on how many days you want to go. Expect that typical large festival camping experience. Gauley Fest has lots of people and lots of tents, which means there are a few important rules to follow. No fires (hello gas stoves! ), no glass bottles and all spots are first come, first served (so get there early). This year they’re planning on having a quiet camping zone behind the cabins, so if you’re looking for a more relaxed experience, you’ll want to scope those out right away. Dogs are welcome, but there’s a $20 pet fee, and you have to keep your pooch under control at all times. Gauley Fest has a Facebook page where you can keep up to date on things like shuttle schedules, musical acts and the like as things progress. There’s an age limit for hitting the water. It’s generally recommended that all paddlers on the Upper section be at least 15 or 16 years old, and at least 12 years old to be out on the Lower section. But ultimately it’s up to the outfitter, so call ahead to make sure. Not Looking for a Class V Adventure? If the Big 5 are out of your league (as they are for many recreational paddlers), the Lower section of the river has much less intense rapids. The nearby New River Gorge is the place to go for secluded beauty, in addition to a breathtaking bridge that’s on the National Register of Historic Places and is one of the most photographed spots in the state.